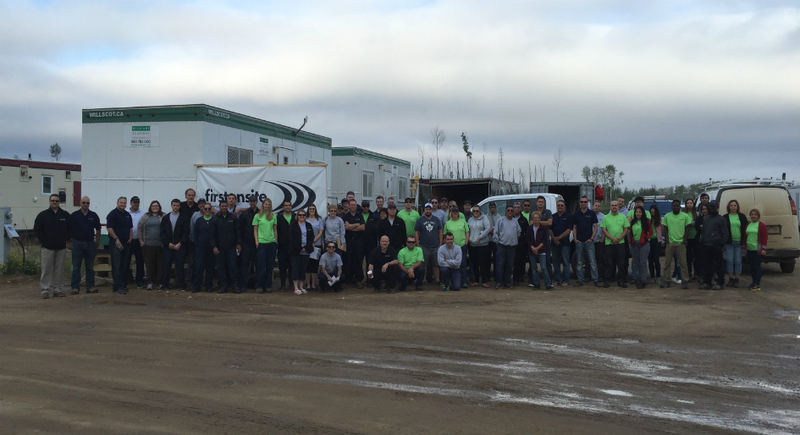 It’s been a milestone year for FirstOnSite Restoration. From revitalizing essential services and businesses during the BC Wildfires to bringing order following the chaotic Windsor windstorms, the team has responded coast-to-coast helping commercial and residential clients recover from the unexpected. This fact is not lost on Canada’s property stakeholders. FirstOn Site leaders have observed property owners and managers becoming more and more aware of the risks to their properties and planning ahead for both recurring incidents and natural disasters alike. FirstOnSite has always been an advocate for emergency planning. It has rolled out disaster awareness training and planning services to its clients through its Priority Response Emergency Plan (PREP) program for businesses, which pairs clients with FirstOn Site professionals for collaborative planning sessions. 2017 also drove home the importance of technology in the field. This was especially true for some of FirstOnSite more remote projects, where mobile technologies and cloud-based systems played a critical role in connecting teams across multiple sites, as well as tracking their progress and relaying vital information to stakeholders. Technology also took the spotlight during FirstOnSite’s work with the BC wildfires. Here, Fender and the team were tasked with managing indoor air quality issues for 130 critical commercial properties such as government offices, banks, grocery stores, and essential businesses, to help residents stay in their communities and function on a day-to-day basis. No doubt, the BC Wildfires stand out as the most challenging and rewarding experiences in Canada for 2017. Still, ask the FirstOnSite team what they’re most proud of over the last year, and they’ll say it’s their success in demonstrating the true value of working with a restoration partner before, during, and after an event. “That’s our real value to property managers – being a one-stop shop for clients anywhere in Canada, whether it’s a major metropolitan area or a remote location. Over this past year, we’ve been proud to show that due to our tight structure, we can provide that same level and standard of service in any community in Canada on a consistent basis,” says Fender. Bill Fender is Senior Vice President of Commercial Properties with FirstOnSite Restoration, a leading Canadian disaster restoration company providing remediation, restoration, and reconstruction services nationwide, as well as for the US large loss and commercial market. For more information, visit www.firstonsite.ca.